Estonia's Ott Tanak remained on course for a second successive victory when he swept five of Friday's six stages on the Rally of Germany, deep in the heart of the country's wine region. Ogier claimed the day's opening stage but from then on it was all Tanak who thrived on the asphalt surface in and around the Mosel Valley, Germany's premier wine producing area. "I think we have had close to a perfect day today. 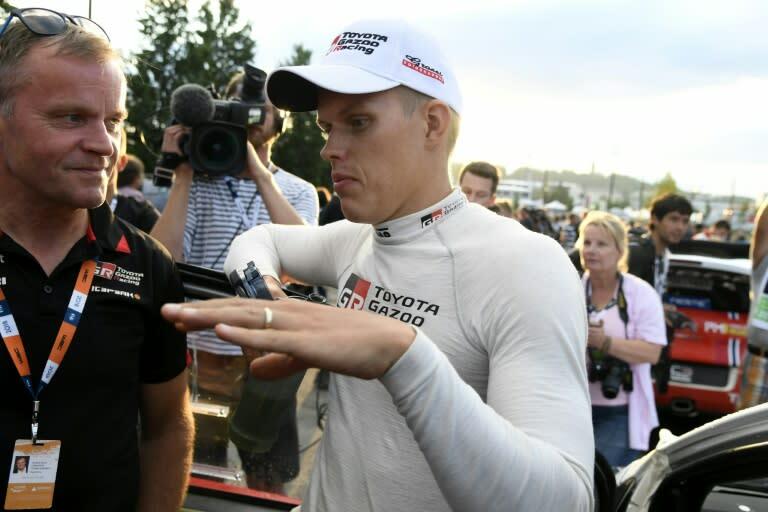 The driving was clean and the car was working really well," said Tanak. "Everything was new for me, driving this car on these very specific stages, but I could adapt quickly, the rhythm was there from the first stage and I was able to push hard all day. "This afternoon it was more difficult because it rained during lunchtime and every corner had a different level of grip, but we had a clean run with no mistakes."